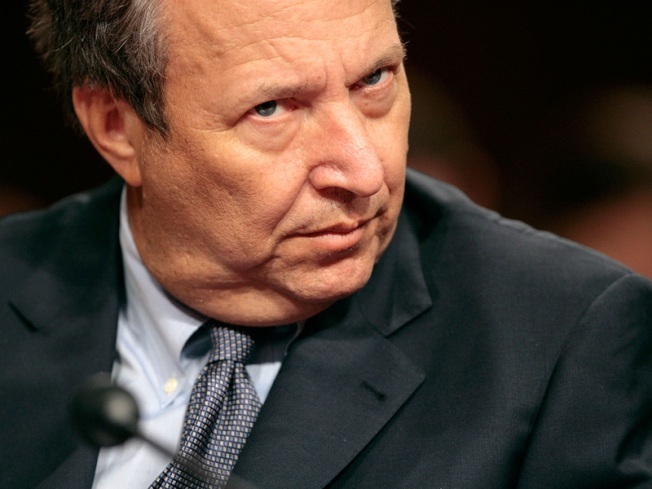 Summers Off of Treasury Short List? Lawrence Summers, who held the top job at the Treasury under the Clinton administration, may be off the short-list. Intense backlash from women’s groups may have pushed former Clinton Treasury Secretary Larry Summers off the short-list to lead Treasury for President-elect Barack Obama, according to widespread reports circulating in Democratic circles. The women’s opposition to a possible Summers’ appointment was the explanation some Democratic sources are hearing for why the Obama transition team has crossed Summers off their list. The Obama team doesn’t want to kick off its administration with a controversy nor go head-to-head with an important constituency when there are other qualified candidates, political operatives speculate. Reports that Summers is no longer in the running are widespread, but not everyone agrees that his problems with women have sealed his fate. Kim Gandy, president of the National Organization of Women, said there are other reasons to oppose Summers, citing his involvement in Clinton-era policies that many say contributed to the current economic woes. “There are a lot of reasons that people oppose Larry Summers,” she said. NOW has not lobbied the Obama transition to scuttle Summers, she said, but instead put forward names of qualified women for the slot. Sources plugged into financial circles also cite the highly unusual move of reappointing him for a long-term stint at the Treasury helm when he’s already held the job. If Summers, who’s been one of Obama’s top economic advisers, is indeed out of the mix, the odds-on favorite for Treasury secretary is New York Federal Reserve Chairman Timothy Geithner. Another possibility is that former Federal Reserve Chairman Paul Volcker would take the helm for six months, with Geithner as his deputy, and Geithner would take over later. The Obama transition team declined to comment on Summers’ status. The Obama camp, though, is well aware of the backlash sparked by Summers’ name being floated as a possible pick. Women’s groups have issued press releases slamming a Summers’ appointment, organized e-mail campaigns to key Obama transition staff and communicated their outrage through back-channel connections. The Summers backlash rises out of a controversial 2005 comment he made as president of Harvard University that innate differences between men and women might be one reason fewer women succeed in science and math careers. Coming on top of other tensions with faculty, the incident led to his ouster as president. The incident would likely make Summers’ Senate confirmation a rocky proposition, especially since women’s groups and liberal bloggers have already unleashed fierce opposition to him. “While it wouldn’t be a fatal blow for a nomination, it would sure make it uncomfortable,” said a former Treasury official. The group has launched an e-mail campaign that has members across the country urging key transition team officials to dump Summers, said co-founder Amy Siskind. Members with connections to Obama’s campaign – about a third supported him in the general election – and other Democratic ties are sending the message as well. “We just want the best Treasury secretary at this moment in time,” said Nancy Hopkins, a New Agenda member and biologist at Massachusetts Institute of Technology, who walked out of the talk where Summers made the infamous comments. Not only does Summers statement raise serious questions about his judgment, Hopkins said, but he also displayed an inability to listen throughout his tenure as Harvard’s president. Female faculty members had tried for some time to draw his attention to the dwindling numbers of women being hired and tenured under his watch. “He couldn’t hear them,” Hopkins said. Summers also has a well known reputation in academic and political circles for having a big ego and prickly personality. The Rosalind Franklin Society, which promotes women in the life sciences field, also issued its own press release Tuesday, urging Obama “to appoint someone whose qualifications have not been compromised” with the suggestion that women cannot succeed at science. There’s also a sense among some Clinton supporters that picking Summers would reopen wounds from the contentious presidential primaries when the Obama camp should be working to heal rifts with women sorely disappointed by Clinton’s loss. One former Clinton official said the “tin ear” of the Obama campaign raised doubts about the president-elect’s team because Summers could revive the hard-feelings about Clinton’s treatment. NOW’s Gandy says her group has an open line of communication with members of the transition team. “We let them know about people they should be looking at. They are reaching out to a lot of groups and lot of sectors,” Gandy said. For Treasury secretary, Gandy said she suggested Federal Deposit Insurance Corp. Chairwoman Shelia Bair; Alice Rivlin, the first director of the Congressional Budget Office and expert on urban issues as well as fiscal, monetary and social policy; former Commodity Futures Trading Commission chairwoman Brooksley Born, who tried to regulate credit default swaps but was blocked by Summers, former Clinton Treasury Secretary Robert Rubin and former Fed Chairman Alan Greenspan. Others have pushed for greater consideration of New Jersey Gov. Jon Corzine, a former Goldman Sachs executive who also served in the Senate. Corzine is being vetted for the post, according to the New Jersey Star Ledger. But a lawsuit filed against the New Jersey governor could hurt his chances. The state Republican Party has asked courts to reveal e-mails Corzine exchanged with his ex-girlfriend Carla Katz, former president of the Communications Workers of America Local 1034. Katz and Corzine had a two-year affair during a period that included negotiations of a state contract affecting some of the workers represented by the union.